Ignoring a formal summons could invite action by the House of Commons in the UK. 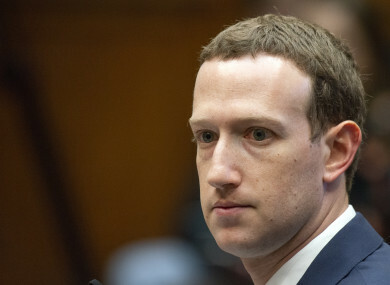 BRITISH POLITICIANS HAVE threatened to issue a formal summons to Facebook chief Mark Zuckerberg for him to testify over a major privacy row after he declined to appear. Zuckerberg was grilled by the US Congress last month but sent one of his executives to answer questions posed by the House of Commons culture and media committee. MPs are investigating the use of Facebook data by a British political consultancy, Cambridge Analytica, as well as the phenomenon of “fake news” and Russia’s involvement in spreading misinformation online. In a letter to Facebook, committee chairman Damian Collins cited unconfirmed reports that Zuckerberg would testify to the European Parliament in May and asked him to come to London during the same trip. “We would like the session here to take place by 24 May,” he wrote. “It is worth noting that, while Mr Zuckerberg does not normally come under the jurisdiction of the UK parliament, he will do so the next time he enters the country. Ignoring a formal summons could invite action by the House of Commons, although, in the past, the threat has usually been enough to make a witness appear. Facebook has admitted that up to 87 million users may have had their data hijacked by Cambridge Analytica, which worked for US President Donald Trump during his 2016 campaign. Collins noted that there are more than 40 million Facebook users in Britain “and they deserve to hear accurate answers” from Zuckerberg. A spokesman for the European Parliament said last week that an invitation had been sent to Zuckerberg to appear before MEPs “but we still wait for an answer… nothing has been decided yet”. Email “UK threatens to issue Zuckerberg with formal summons as he declined to appear to testify”. Feedback on “UK threatens to issue Zuckerberg with formal summons as he declined to appear to testify”.